John Collins had an awesome rookie year for the troubling Atlanta Hawks last year, and has even been improving his three point game in the Summer League this past July. The big man from Wake Forest was selected in the first round 19th overall by the Hawks in last years draft, and the addition made sense with the Hawks losing Paul Milsap a couple seasons prior and not really being able to fill that void. Long been the days of Al Horford leading the way for the Hawks, and like most teams when they lose their star or most trusted player, they face a major downfall and eventually wave the flag for a rebuild. The Hawks rising star big continues a long trend of Hawks big men who the Atlanta organization has collected either via the draft (Al Horford) or through free agency, when they signed Paul Milsap to be their number 2 behind big Al. If John Collins can improve on an already impressive rookie year and summer league season the Hawks might have their next star big, and it doesn’t hurt that Collins has an old vet in Vince Carter to help guide him through the more intangible aspects of NBA life, like how to tackle the possible sophomore slump. Trea Young with all the hype surrounding him being a top 5 selection at first by the Mavericks, before being traded to Atlanta for Luka Donic in a trade that left many shaking their heads. But Trea is a confident player that seems to think he can lead the Hawks to better days, and John Collins can help him make those steps in the right direction. Atlanta has 2 fundamental players they hope can turn into reliable stars for them, and with a league that is more and more relying on more than one go to guy to lead a team, the Hawks need something to help them regain relevancy and help them regain an identity. The Hawks did have an identity in that awesome 2015 season, they were the unselfish ball moving overloads that were the biggest hit of the year (until the heatles ran em out town). It was during a time before the Warriors completely flipped on how NBA teams would run an offense, and before consistent ball and player movement were considered a need to be a good running team. Jeff Teague regressing and being traded to Indiana, along with other Hawks players that made that team so special moved on, and soon enough the Hawks had no identity and no player to build around. The Atlanta Hawks won’t be a good team by any means this coming season, but that won’t mean they will not be watchable, them along with the Brooklyn Nets can provide some fun while in the bottom of the east. John Collins along with a Trae Young that can hopefully have a promising rookie year that has Hawks fans not miss Donic as much, can provide the Hawks with a blueprint. 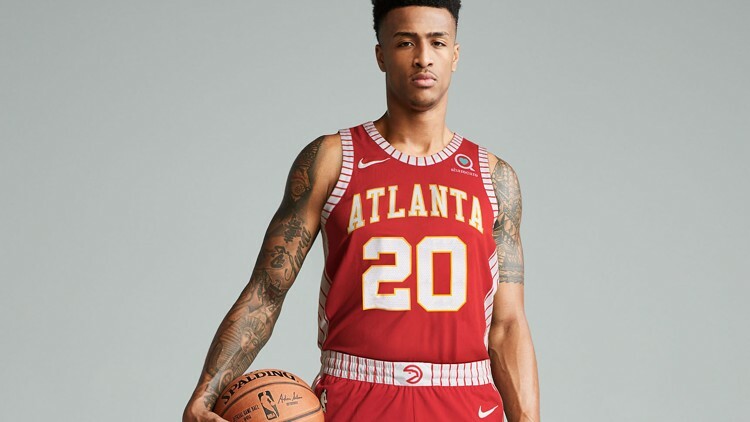 John Collins and Trae Young can give the Hawks some franchise stability, and for a team that sees its stars leave more than stay, it is vital for Collins and Young to develop into the leaders they can be and the leaders Atlanta can hope they can be.